Kentuckiana Reporters was the first court reporting firm in Kentucky to offer a full-time Scheduling Manager who could be reached 24 hours per day. Our newest Scheduling Manager, McKenzie Dadisman, brings extensive court reporting experience to the position and looks forward to working with you all on a daily basis. 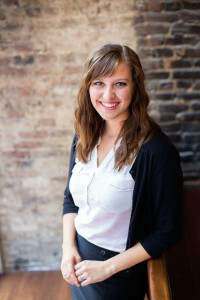 McKenzie has prior experience as a court reporter, videographer, and as an Assistant Production Manager. She is familiar with every aspect of the deposition process and has shared responsibility for ensuring that your depositions are always delivered on time. Originally from Bloomington, IN, McKenzie has called Louisville home for over three years.She has experience with virtually every type of litigation, including medical malpractice, nursing home cases, personal injury, divorce, Workers’ Compensation, coal mine litigation, business disputes, government hearings, and many others. While she will miss seeing depositions on a daily basis, she looks forward to working more closely with attorneys and their litigation support staff to coordinate depositions and other legal matters across the United States. McKenzie can be reached by phone at 502-589-2273, 877-808-5856 or by email at [email protected] For after hours assistance, please call 502-322-7776 or 812-929-9732.